Wow, that looks fantastic! 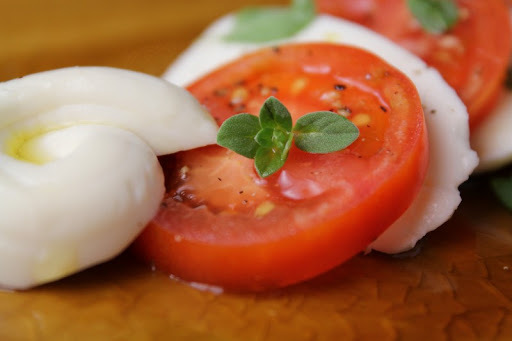 Hmm, homemade mozzarella. Another thing I'll have to consider giving it a try. Sounds kind of fun. Hi Carol - do give it a try. Just be prepared for possible failure, as it often doesn't "set up" properly. I love making cheese! It's not as bad as it looks. Thanks for the shout-out for the shop! And I agree with Gail, making cheese is not as bad as it looks, though making mozzarella still stresses me out. I'll see you guys at Curds and Wine! 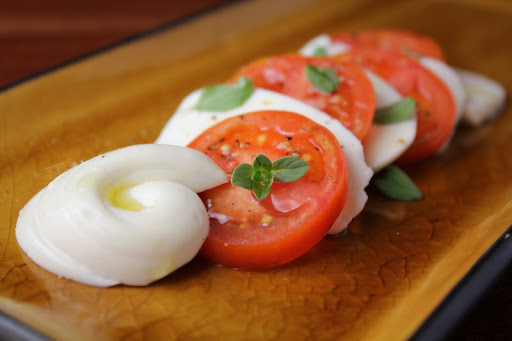 Early girls and fresh homemade mozzarella? Yum!! !